From the outside, one could see that Rancho Bernardo Luxury Villas and Resort (RB) in Bagac, Bataan is not just any hilly resort but a luxurious sanctuary, locked in unpretentious greenery leading to well-planned and almost dream-like villas, for families, lovers and tourists who love to frolic with nature, have that peace and quiet and to be just by themselves. Perched on the mountain range of Barangay Ibis in Bagac, Bataan, Rancho Bernardo Luxury Villas and Resort is about 2.5 hour drive from Balintawak via North Luzon (NLEX) and Subic-Clark- Tarlac Expressways (SCTEX) from Manila. Named and patterned after the master-planned community of Rancho Bernardo in San Diego, California the Bataan hilly resort—which is almost fronting the West Philippine Sea - boasts of amenities one can’t find even in five-star resorts and hotels with its infinitesimal luxury and elegance. 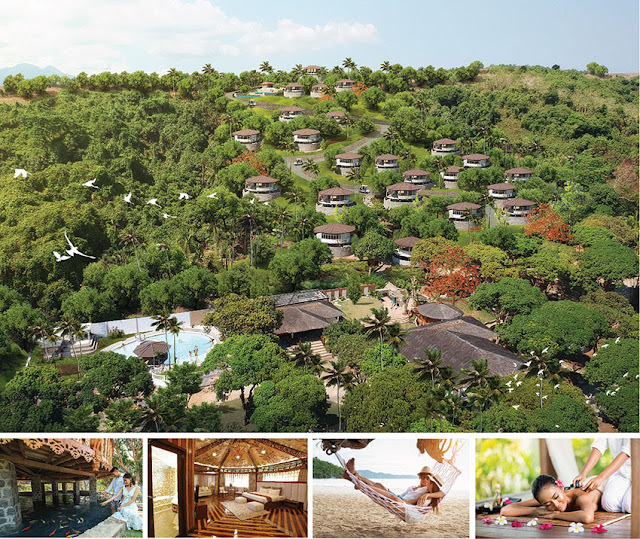 To soft open sometime in January 2019 - initially with 4 to 5 villas and ultimately 30 for the first phase alone - Rancho Bernardo’s villas fetch anywhere from Php45,000 for overnight stay at the silver room for 2 adults (with an option to have rights to it for 1 to 5 years) and Php65,000 for gold with 2 adults and Php84 adults also for 1 to 5 years. The rates just carry breakfast. Food will be served at the restaurant. Because of its natural thick foliage, Rancho is the coolest place to live in this summer—although rooms are air-conditioned with wide windows that open to a forest view and from the tip a view of the sea and the adjoining towns. "Upon entering the ornate and heavy wooden door of the villa, light fixtures and other amenities would turn on with the command of a voice," said Gina Virtusio, RB’s Consultant for Communications and PR. The shower, toilet and bath have a different story to tell: the toilet cover and seat have sensors that would automatically open when they feel humans and the seat is comfortably warm, the flash and bidet would turn on once the user moves indicating completion of a toilet ritual. The tiles are exquisitely gold and marble (real 24 carat, not just plated) much like the royalty in Saudi Arabia and the bathtub is an experience on its own. Each villa has an outdoor jacuzzi and the place has two swimming pools with bars - one at the lower level and the other one at the tip of the hill. But who would dare swim at that height and during rainy seasons? Bagac is fast becoming a luxury destination with the likes of Las Casas Filipinas de Acuzar and Montemar Beach Club, La Jolla Leisure Estates, further below and Playa la Caleta a beach resort that also offers trekking and now Rancho Bernardo Luxury Villas and Resort. 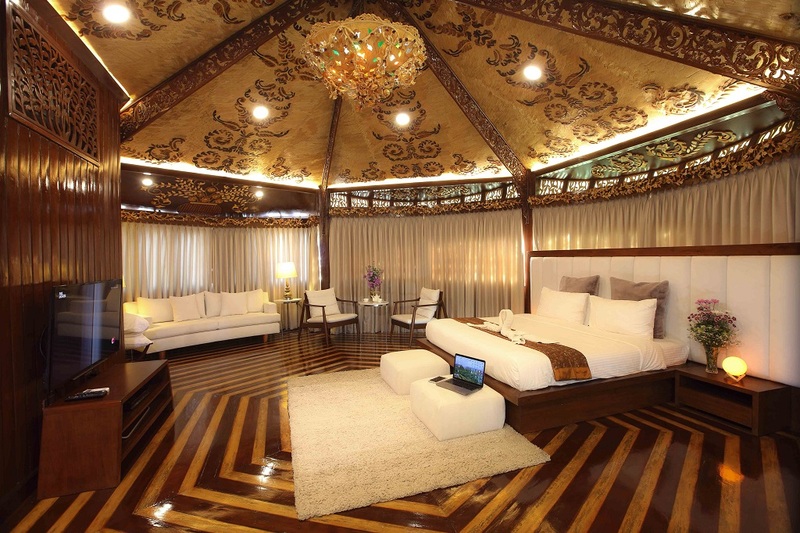 For Phase 1, Rancho Bernardo will offer thirty (30) round-shaped villas (a creative vision by its owner, Ramil del Rosario, a native of Bagac) with Bali-inspired designs and intricate carvings done onsite by the wood carvers of Bulacan spruced on fifteen (15) hectares of hilly terrain. A function hall able to accommodate 200 persons would also rise in the enclave along with a boutique hotel. Del Rosario’s vision is to be able to promote Bagac as a sustainable tourism destination that will not only showcase its colorful culture and history but also provide livelihood for the locals, and most importantly, protect the environment and its natural resources. Rancho Bernardo Luxury Villas and Resort does not operate like a membership club but offers value packages and preferential rates to enjoy in chosen villa categories. Rancho Bernardo Luxury Villas and Resort is a destination for any traveler and adventure seeking individuals (here and abroad), corporate for incentive program. For queries and information: visit www.ranchobernardo.ph or email at info@ranchobernardo.ph.